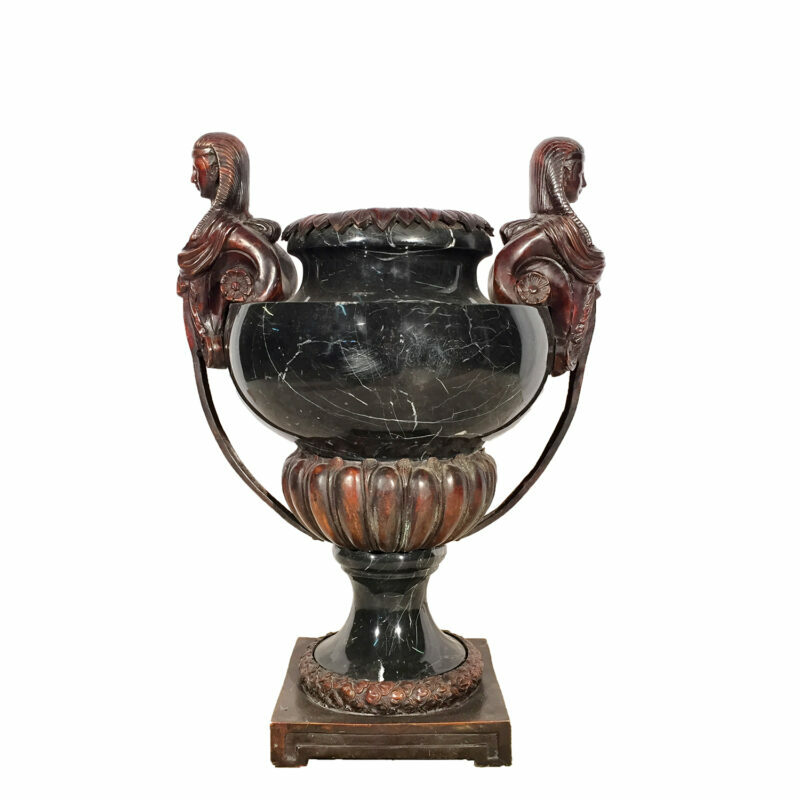 Marble Urn with Bronze Egyptian Woman Accents | Metropolitan Galleries Inc.
SRB93129 The Black Marble Urn with Cast Bronze Egyptian Woman Accents & Base adds drama and elegance to any indoor décor space. The red marble is complemented with cast bronze handles and lid, giving this marble urn a complete and chic look. The bronze accents were developed from the traditional, Lost Wax Bronze Casting method. This labor intensive and time consuming method of casting bronze ensure pristine quality and vivid details of the completed piece. For pricing and availability, please reach out to our corporate office and warehouse. 1-800-929-1681.